SHAFAQNA – It is with deep sadness that Ahlulbait Foundation of South Africa received the news of the passing away of one of the stalwarts of the Islamic Revolution in Iran, namely the passing away of Ayatullah Ali Akbar Hashemi Rafsanjani at the age of 82. He was a man who was part of the inner circle of Imam Khomeini and was at the forefront of the uprisings against the Shah of Iran before 1979, having endured much time in prison under torture of the SAVAK. After the revolution, he served Iran in various capacities including defence and the Assembly of Experts. 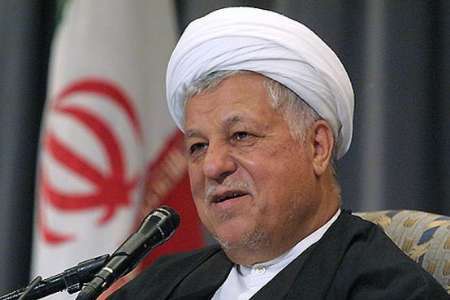 Ayatullah Rafsanjani also served as the President of Iran in the 1990’s during which period he visited South Africa and delivered speeches at local Mosques and met various high ranking ulama and Muslim leaders. With an outstanding record of service to Iran and to the Muslim Ummah at large, AFOSA extends it’s sincere condolences to the leader of the Islamic Revolution, Ayatullah Khamenei and the people of Iran and the family of Ayatullah Rafsanjani. May Almighty Allah reward him abundantly for his services and receive Him into His Infinite Mercy Insha’Allah.